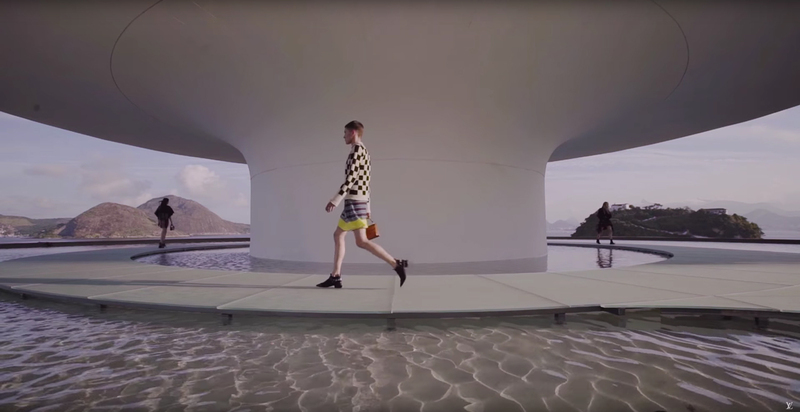 Niterói Contemporary Art Museum Hosts an LV Fashion Show. 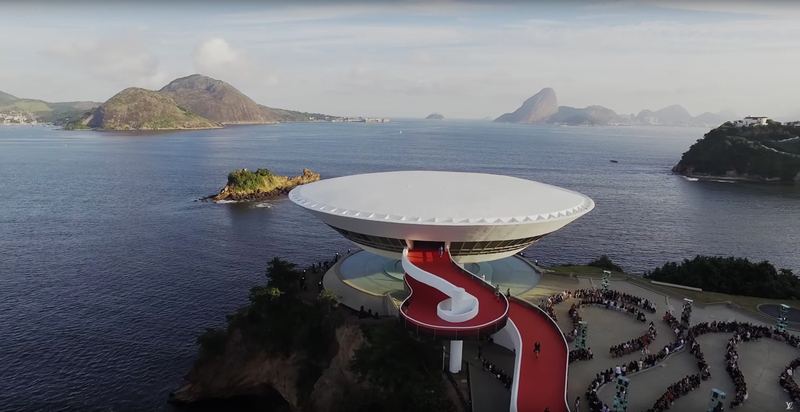 Oscar Niemeyer’s Niterói Contemporary Art Museum in Rio de Janeiro Hosts Louis Vuitton Cruise 2017 Fashion Show. 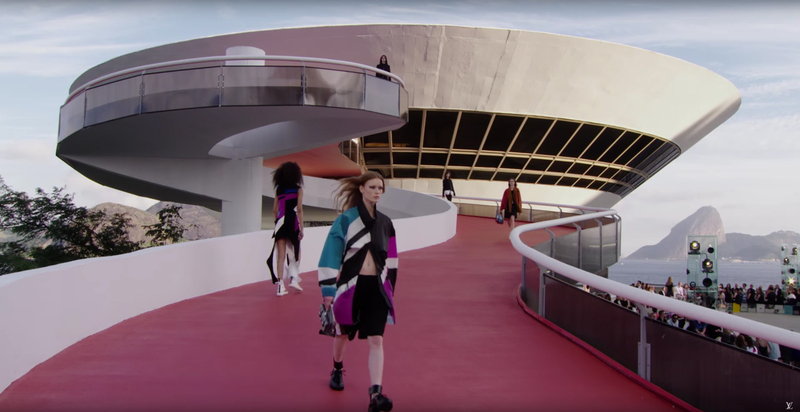 In an extraordinary pairing between architecture and fashion, Oscar Niemeyer’s iconic Niterói Contemporary Art Museum in Brazil, recently played host to the Louis Vuitton 2017 Cruise Collection. 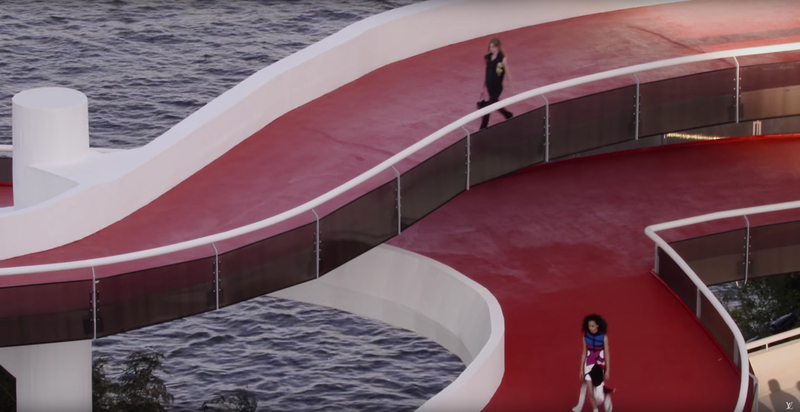 The show coincided with the museum’s 20th anniversary, marking its reopening after an extensive renovation. 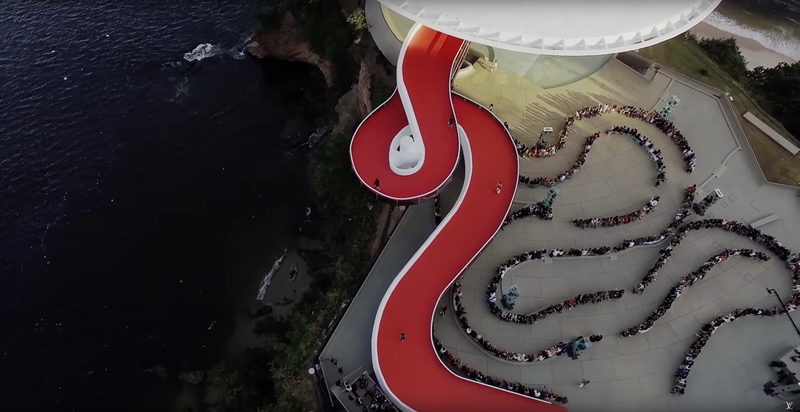 The iconic swirling red-carpeted ramp proved the perfect catwalk for the procession of models, while the spectators were seated in curvilinear rows that followed Niemeyer’s fluid design of the ramp. Extreme love all round! Amazing Buildings Designed By Oscar Niemeyer. ‘The Space in-between’ Retrospective by Nendo at Design Museum Holon in Israel. Iranian Photographer Jalal Sepehr’s Images Translate a Community’s Hardship into a Visual Metaphor.